'Tis the gift-giving season, and what better stocking stuffers for the theaterphile in your life than some high-quality Ultra HD Blu-ray discs--provided they've already upgraded to a UHD display, that is. At this time last year, the UHD Blu-ray format had not yet reached its first birthday. Early sales numbers were good, but the list of available titles wasn't terribly extensive. Now the format has hit its stride, and there's a ton great content from which to choose--including the hottest new releases and some classic faves. Here's a list of 10 Ultra HD Blu-ray discs released this year that excel in both video and audio quality. Beyond these discs' AV excellence, we also happen to think they're just good entertainment, so you won't mind watching them over and over again to showcase your home theater system. 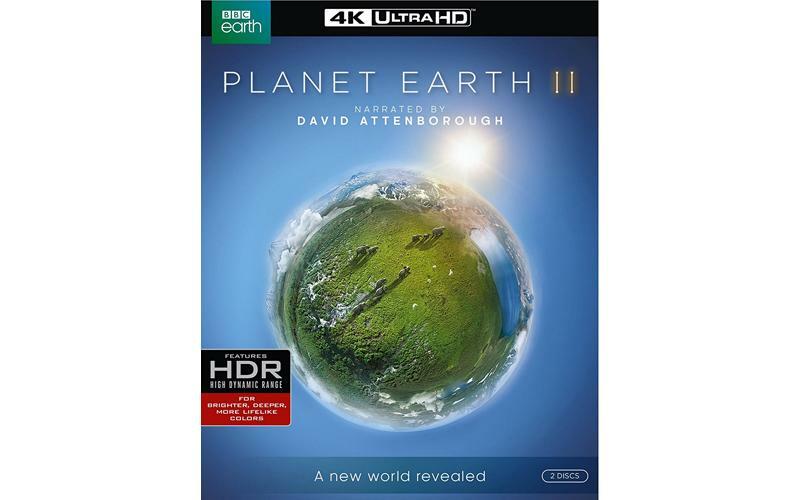 If you purchase only one UHD title this holiday season, we recommend Planet Earth II. 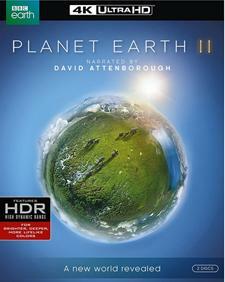 What the original Planet Earth did for Blu-ray, the new series does for Ultra HD Blu-ray. Even though this was a made-for-TV series, the production team shot the six episodes with 4K and HDR in mind, and the HDR10 video in this package is simply stunning to behold. This is the one title on our list that does not include an object-based soundtrack, but do you really need overhead effects in a nature documentary? The DTS-HD Master Audio 5.1 mix still makes fun, interesting use of the complete surround soundfield. If you prefer sci-fi to nature documentaries, then Blade Runner: The Final Cut is your must-own disc of 2017. In conjunction with the arrival of the new Blade Runner film in theaters, Warner Brothers released the original movie in the Ultra HD format. The HDR10 video comes from a 4K scan of the original camera negative, with HDR effects added, and the results are spectacular. A Dolby Atmos soundtrack puts you in the middle of the action, while the narration remains crystal clear. Did we need yet another Spider-Man reboot? Maybe not, but this one is a lot of fun and successfully melds the Spider-Man franchise into the larger Marvell/Avengers universe in a way that fans will enjoy. There still aren't a lot of Dolby Vision UHD BD discs on the market; this is one of them, and the DV video looks great on compatible TVs (the HDR10 version is good, too). As you might expect, the Dolby Atmos soundtrack will give your audio system a great workout, with some excellent height effects to highlight the 3D audio. Disney finally embraced Ultra HD Blu-ray with this release. 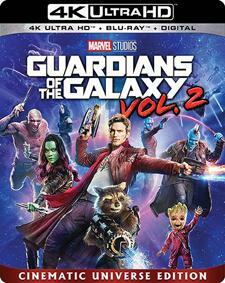 I love me some Guardians of the Galaxy; while the storyline of Vol. 2 isn't quite as strong as the original, the interaction between these lovable characters still makes for a delightfully fun trip. The Dolby Atmos soundtrack re-creates another great '70s score, and there's no shortage of demo-worthy action scenes. The film has some stunning visuals, and the HDR10 transfer on this disc certainly does them justice. Gal Gadot's Wonder Woman may have stolen the show in Batman vs. Superman (which is another great-looking UHD BD, by the way), and she absolutely soars here. The film, which tells the origin story of the Amazon warrior princess Diana, was a huge favorite of critics and moviegoers alike. The beautiful HDR10 video moves deftly from the lush, colorful world of Themyscira to the darker, grimmer palette of WWI Europe. The Dolby Atmos soundtrack is fantastic and features fairly aggressive use of the height channels. Here's one that will be a treat for you and the kiddos. 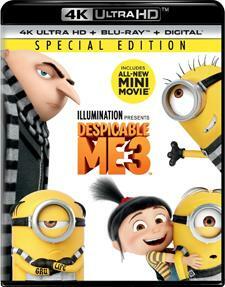 Gru and the girls (and, of course, those lovable Minions) are back in the third installment of the series. Another Dolby Vision release, the Despicable Me 3 disc also includes a DTS:X soundtrack. The animation lends itself nicely to the UHD format's improved resolution and wider color gamut, and the immersive DTS:X soundtrack makes good use of the surround and overhead channels while filling your room with the film's bouncy pop songs. 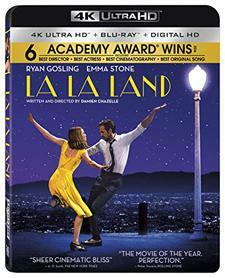 Admittedly, this musical about the love story between an aspiring musician (Ryan Gosling) and actress (Emma Stone) isn't for everyone, but those who love it REALLY love it--and the film's picture and sound certainly come to life on the UHD BD disc. The HDR10 video accentuates the movie's bold colors and complex textures, while the jazz-heavy score and musical numbers burst to life through the Atmos soundtrack. 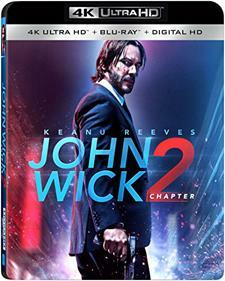 John Wick was a surprise hit in 2014, and Chapter 2 picks up right where the first film left off (if you haven't seen the original, it's also available on Ultra HD Blu-ray), dropping you right into a long, spirited action sequence. Really, the whole film is a long, spirited action sequence, with no shortage of fights and flights to keep the Dolby Atmos soundtrack bustling. The HDR10 video looks surprisingly good, too. If you loved Batman as a supporting character in The LEGO Movie (and really, who didn't? ), then you'll love him here in a starring role. Like The LEGO Movie, this one is comedic treat for adults and kids alike. The HDR10 video boasts great detail, inky blacks, and vibrant color, and the Dolby Atmos soundtrack does a great job blending all the action effects with all that wry dialogue. Over the course of 2017, Warner Brothers released all eight of the Harry Potter films in the Ultra HD Blu-ray format. Interestingly, they chose to release the last four films first, back in March. The first four films arrived in November, along with the 8-Film Collection boxed set. While all eight films look good in UHD and HDR, the first four movies are especially noteworthy because they come from 4K scans of the original camera negatives--and they look better than you've ever seen them on disc. All the discs include well-crafted DTS:X soundtracks, too. Interested in reading more Ultra HD Blu-ray reviews? Check out the Software Review Forum on our sister site, HomeTheaterEquipment.com. • Your Guide to Ultra HD Streaming at HomeTheaterReview.com. 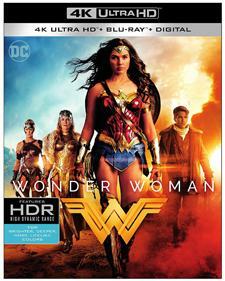 • How to Gauge UHD Blu-ray's Success So Far at HomeTheaterReview.com. 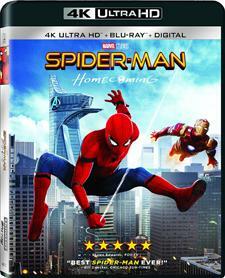 • 10 Great Ultra HD Blu-ray Discs to Begin Your Collection at HomeTheaterReview.com.